Leviton Skytile provides unparalleled-Light uniformity and delivers smooth, flicker-free-Lighting. Specifically designed to enhance commercial applications, such as offices, schools and retail environments, Skytile exceeds the-Light level of traditional fluorescent fixtures. Unlike fluorescent, Skytile requires no maintenance and avoids the issues associated with lamp replacements and inconsistent-Lighting. Skytile has an increased 120Â° beam angle that projects-Light into the corners of the room and to the top of the walls, greatly reducing shadowing. 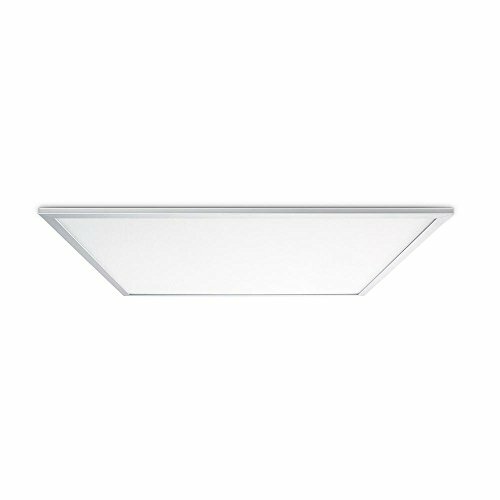 Skytile is designed for 2x2 lay-in ceiling grids and incorporates a 0-10-Volt dimmable driver as standard. The driver is mounted at the rear of the panel ensuring a lower operating temperature is achieved. Reducing the running temperature increases reliability and maximizes product lifetime. Skytile combines the latest in LED technology with the unsurpassed quality of Leviton to deliver a market leading-Lighting solution. NEW Modern Round LED Ceiling Light | Contemporary Sleek Circular Design | Frosted Fixture with Brushed Aluminum | 3000K Warm White Dimmable LED 12"